The registration of participants to the 3d International Scientific and Practical Conference "Diaghilev: the art of production. Yesterday, today, tomorrow!" is open. The conference will be held on April 1, 2019, at the Vaganova Ballet Academy. The Conference is held in the Year of Theater in Russia and is timed, according to tradition, to the birthday of Serge Diaghilev, celebrated on March 31. 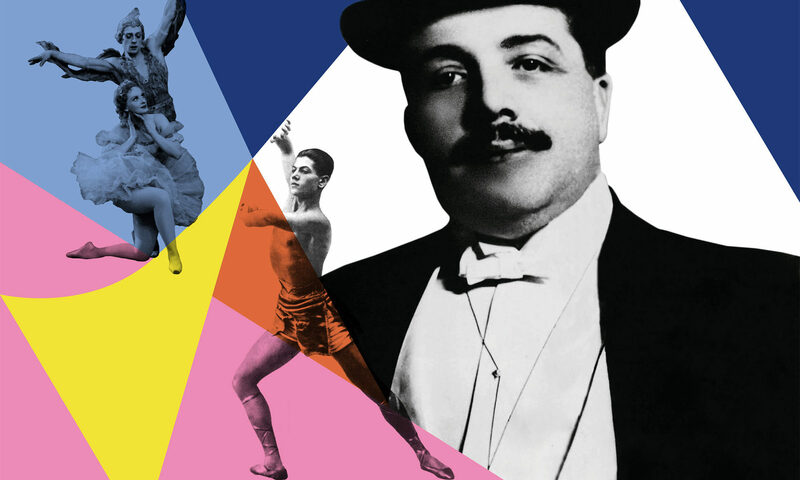 This year marks the 90th anniversary of the death of Diaghilev and 110 years of the appearance of the first ballet performances in the Russian Seasons programme. The students of Vaganova Ballet Academy came for the tour to Japan. Future stars of Russian ballet brought three performances. One of them is world famous Nutcracker by Tchaikovsky. Russian ballet is very popular in Japan. Vaganova Ballet Academy is well known there as the best school for ballet artists. Hundreds of thousands of people in Japan take choreography classes, and studying in the Academy remains an unattainable dream for them. The Rector of the Academy Nikolay Tsiskaridze has been to Tokyo many times before. His first visit here happened when he was learning the basis of classical dance. According to him, no other country in the world knows and appreciates ballet so much. First performances will take place in Tokyo, and three days after, young artists will continue their tour around the country for almost three weeks. They will visit Utsunomiya, Fukuoka, Kobe, Osaka, Sendai and Iwate. Even Mariinsky Theatre's recent tour was not that large. Source: RTR Japan, January 20, 2019. Vaganova Ballet Academy is pleased to announce the start of registration for official and authorized Master classes that have been scheduled to take place during the summer break – 2019 in Italy, in Spain and in Japan. First Master Class: July 1-9, no audition required. Second Master Class: July 11-20, only by audition. For audition and program information please visit the next page or write to intercontact@vaganovaacademy.ru or academy@vaganovaacademy.com. Vaganova Ballet Academy is pleased to announce the new Teacher-retraining Course program for Spring and Autumn Semesters 2019. Number of participants is limited to 5 teachers in one Course. This year, the first six students have completed their postgraduate education at the Vaganova Ballet Academy. Two foreign students are among them: Fethon Miozzi (Italy) and Sakamoto de Miasnikov Fatima Mayumi Tolenaida (Dominican Republic). On November 20 they received diplomas on the completion of the postgraduate education program 50.06.01 Study of Art (Theory and history of art). Fethon Miozzi and Mayumi Sakamoto de Miasnikov with Irina Irkhen, chief of the Postgraduate education department. The final II round of the VIII Vaganova-PRIX International Ballet Competition was held on October 18 in the Hermitage Theater. Below is a list of the winners. The first round of the Vaganova-PRIX is finished at the Vaganova Ballet Academy. There is a list of participants who passed in the II round of the competition. Vladlen Semionov is giving a class for boys in the I round of Vaganova-PRIX. The I round of Vaganova=PRIX. Girls of Junior group. Marina Vasilieva is giving a class for girls in the I round of competition. VIII International Ballet Competition Vaganova-PRIX starts on October 15 at the VaganovaBalletAcademy. The Organizing Committee of the competition received 92 applications for participation from students of ballet schools from 20 countries (Australia, Belarus, Great Britain, Hungary, Georgia, Israel, Italy, Canada, China, Kazakhstan, Republic of Korea, Latvia, Moldova, Portugal, Russia, USA, Uzbekistan, Ukraine, Finland, France, Japan). After preliminary selection, there are 62 participants in the list: 21 girls and 11 boys in the Junior group; 20 girls and 10 boys in the Senior group. There have been instituted the following prizes for winners: Two First Prizes (for female and male dances), two Second Prizes (for female and male dancers), two Third Prizes (for female and male dancers), fourteen prizes for participants in the second round, two special prizes of Vaganova Ballet Academy – ten month training at the Academy for international participants. In addition to the above mentioned prizes, this year the Jury of the Vaganova-PRIX will choose the participant who will get the Grand Prix - a silver figurine of Galina Ulanova as Odette from ballet "SwanLake". The prototype for the Grand Prix sculpture was creation by E. Janson-Manizer in the late 1930s and porcelain replica made at the Imperial Porcelain Factory. Specially for Vaganova-PRIX this figurine is made of 925 sterling silver by the master of the Sasonko Jewelry House. Vaganova-PRIX competition will be held in two rounds. Contestants in the Ist Round of the Competition will perform Classical dance class with elements of A. Vaganova class (girls) and with elements of V. Ponomarev class (boys). The 2nd Round of the Competition will be held at the Hermitage Theater on October 18. Contestants will perform one classical duet or two variations from the proposed list, including variation from A. Vaganova (for girls). VaganovaBalletAcademy will host the Pre-selection of the "Prix de Lausanne"-2019 International Competition on October 17. Those who wish to take part in the Pre-selection will have to perform a contemporary dance variation. On October 20, the Gala Concert of prize-winners of the Vaganova-PRIX will take place in Mariinsky Theater. 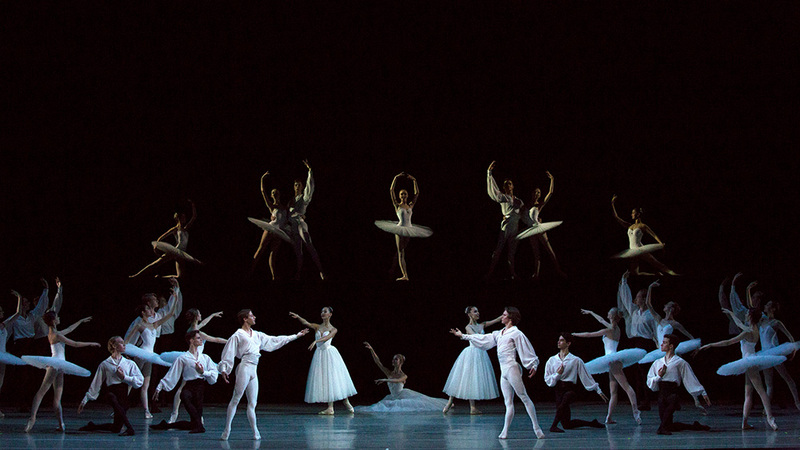 Students of VaganovaBalletAcademy will present the ballet "Suite en Blanc" (choreography by Serge Lifar) in the second part of the concert. Sergei Lifar Foundation kindly provided permission for this performance. The President of the Foundation, Attilio Labis will be the Guest of Honour at the Gala as well as Laurent Hilaire, l’etoile of Paris Opera Ballet, the Artistic Director of the Ballet of K. Stanislavsky and V. Nemirovich-Danchenko Moscow Musical Theater (the repertoire of the theater includes "Suite en Blanc"). Photos by Oleg Vaidner and Andrei Lushpa.